There’s nothing like having a good catch up over a brew. We all love the chance to natter over a good ol’cuppa and a slice of cake. Well, the first week in March gives you the perfect opportunity to not only get together with friends, family and work colleagues and put the kettle on, but to raise funds and awareness for dementia Uk too. March 1st - March 8th sees Time For A Cuppa take place, a wonderful event where people host tea parties to raise funds to support Admiral Nurses. No matter what size, every tea party makes a difference to the lives of families facing dementia. Making Time for a Cuppa is as easy as one, two, tea: send out your invitations, make, or, if your don’t have time to bake (or your baking skills are limited) buy some cake, and have fun! Time for a Cuppa started in 2009 as ‘A Tea Party to Remember’ which was organised by a group of carers supporting Dementia UK. They knew that caring for someone with dementia can be a full time job, so the first tea parties were held to encourage people to take time out, spend time together and spread awareness about dementia and the specialist support of Admiral Nurses (specialist dementia nurses). Dementia UK changed the name in 2010 to Time for a Cuppa, as they understood the restorative powers of a good brew and a friendly chat! 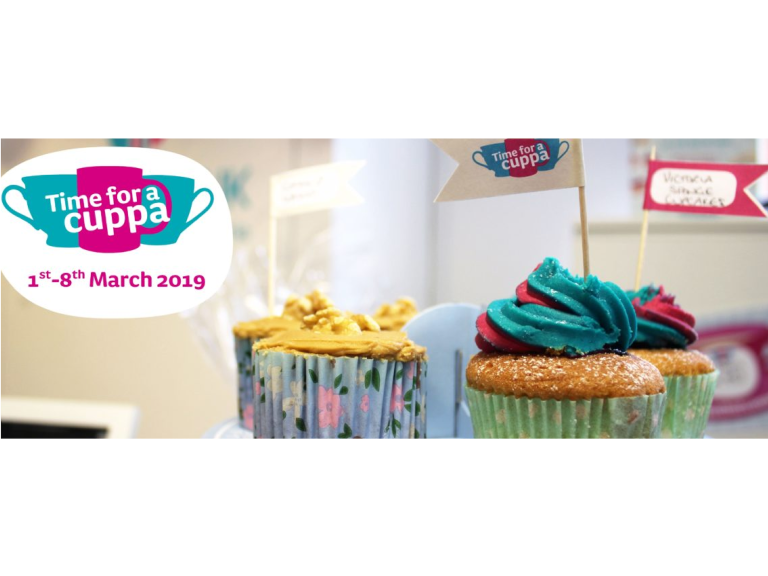 A free Time for a Cuppa pack filled with tips, materials and activities to help make your tea party a fundraising success. Regular Time for a Cuppa newsletters with ideas and stories. Digital materials to help you plan and promote your tea party. Support and encouragement from the Dementia UK team. And don’t panic if you can’t organise a tea party between the 1st and the 8th March – you can host it anytime.